Bringing it all back home: where should Russians go on holiday next? It's getting harder for Russians to travel abroad these days, but fortunately their own country abounds with sights to rival the wonders of the rest of the world. Here's our handy guide to the highlights. Ever since the collapse of the Soviet Union Russians have loved travelling abroad for their holidays. From the 1990s onwards the beaches of Turkey and vineyards of Tuscany, once only accessible in brochures and foreign films, became hotspots for Russian holidaymakers eager to experience a world beyond their borders. But the recent diplomatic tensions, combined with a plummeting rouble, suggests that the great age of Russians abroad may be coming to an end. However, they need not worry. Russians may be closer than they think to the pyramids, Dead Seas and leaning towers of this world. The largest country on earth is a world within a world, and boasts its own versions of numerous foreign wonders. Alright, so it’s hardly Giza, but this fibreglass structure on the side of a highway an hour east of Moscow, the brainchild of pseudo-scientist Alexander Golod, still warrants special attention. 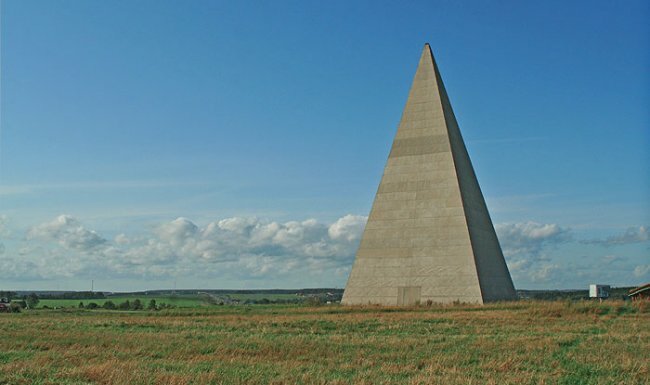 Claiming to share the knowledge of the ancient Egyptians, Golod designed and built this 150-foot-high “energy pyramid”, which according to him, boosts the immune systems of those near it, doubles the agricultural yield of the surrounding area and neutralises the effects of pathogens and radioactive material. What the pyramid lacks in ancient grandeur it more than makes up for in eccentricity. Israel’s Dead Sea has been a favourite holiday destination for Russians since the 1990s, as thousands of pictures on social media of Russians floating in briny waters during high season prove. 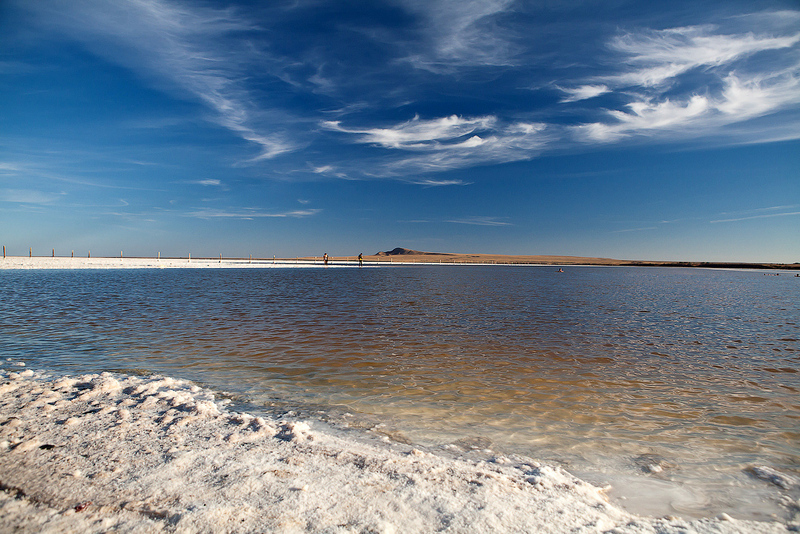 But Russia boasts its own salty treasure in Lake Baskunchak, a 115km² salt lake in the Astrakhan Region 270km north of the Caspian Sea. The red Mount Bolshoe Bogdo provides an epic backdrop for the lake, which as well as giving buoyancy to swimmers, provides Russia with between 1.5 and 5 million tons of salt per year. Move over, Eiffel. This 1922 exemplar of avant-garde architecture would give any of the world’s towers a run for their money. 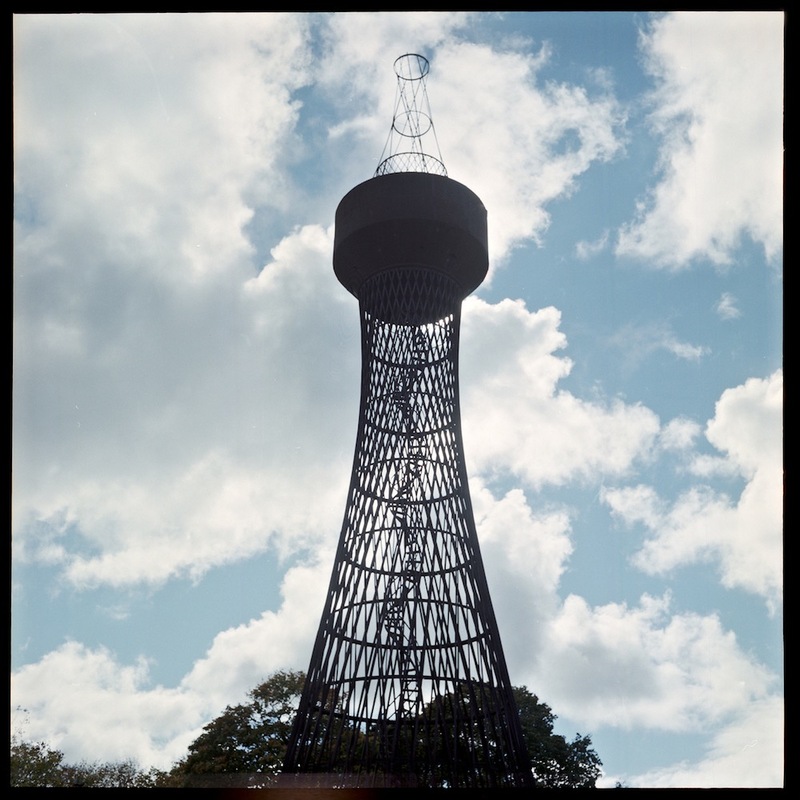 A masterpiece by the legendary Soviet architect Vladimir Shukhov, the Shukhov Tower in Moscow, and its sister towers in Polibino and Nizhny Novgorod, are the first examples of metal lattices being used in construction. Standing tall over the south of Moscow, the tower broadcasted TV and radio frequencies until 2002. Although inhabiting a less glorious position in the Russian capital than its counterpart in Paris, the Shukhov Tower is a modernist relic worth seeing. 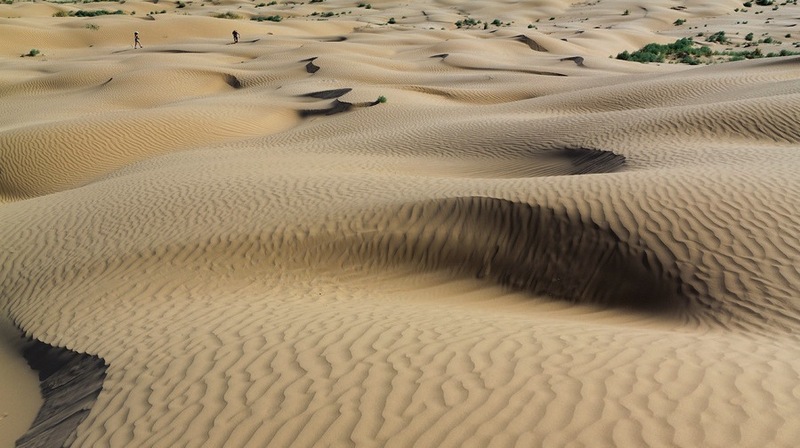 The Caspian Desert in Russia’s southern Astrakhan region may be quite a bit smaller than the great Sahara, but with its rolling sand dunes and sparse greenery it looks for all the world like its African cousin. And there are even camels, too. 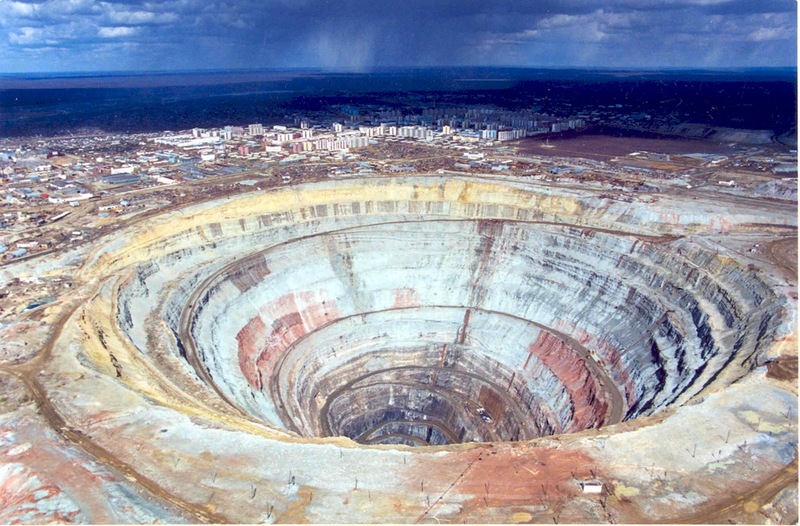 Fewer Russians can afford a trip to the Grand Canyon these days, but the rest can go to Mirny Hole, a nearly mile-wide former diamond mine in Mirny, Siberia. The Soviets’ need to excavate diamonds, not for fashion but for industrial machinery, inspired a large-scale mining expedition to Mirny in 1955. 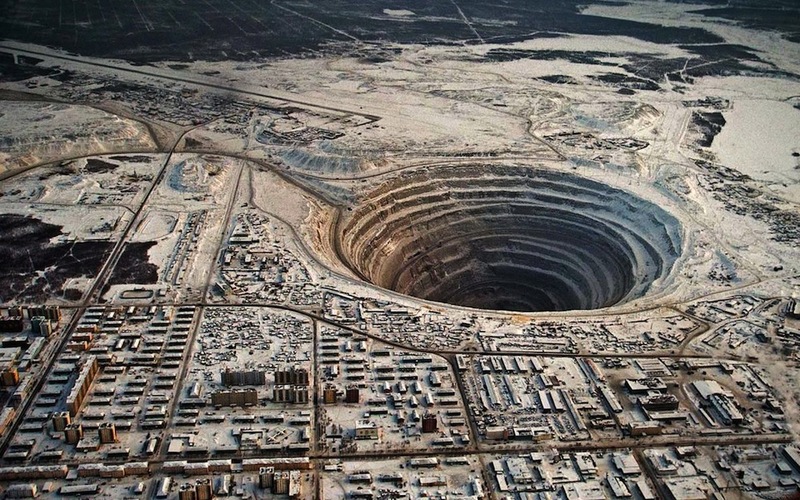 The result was the second biggest hole in the world (the largest is in Utah), and the town of Mirny, which sits precariously on its precipice, adds Gogolian absurdity to the site. 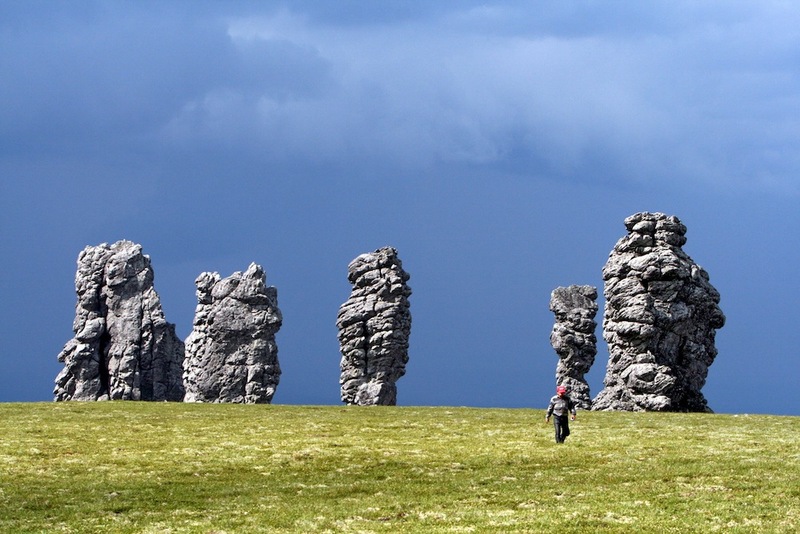 Gigantic and intimidating, the Manpupuner natural rock formations in the northern Komi Republic make Stonehenge look like a handful of pebbles. These seven stone pillars, standing just below the Arctic Circle, reach heights of over 60 metres and have long been a challenge to intrepid climbers. Rumours abound of the rocks’ healing powers or their mysterious ability to induce happiness. According to local folklore, the stones, which are nicknamed the Seven Strong Men, are actually frozen giants. Never mind the vineyards of southern France and Tuscany, the Krasnodar region is part of the “new world” of wine, along with China and India. Russkoye shampanskoe (sparkling wine), reds and whites are all made in this southern region close to the Black Sea, which enjoys a very similar climate to Bordeaux. 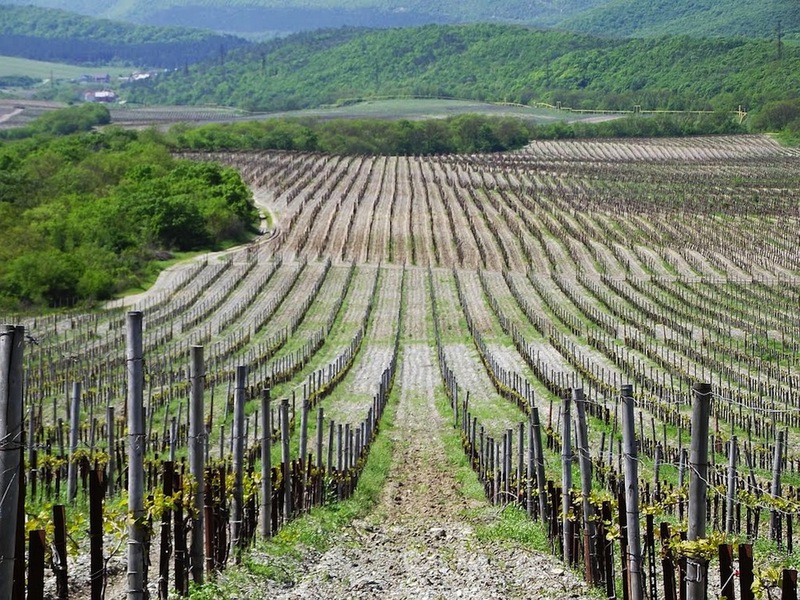 Far cheaper than their western European rivals, Krasnodar's wines have no real presence on the international market yet, but the region has benefited from considerable investment in recent years. 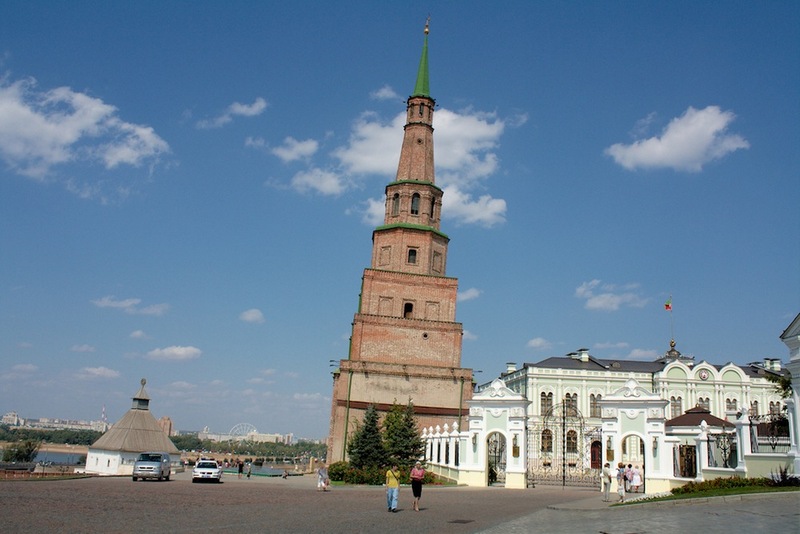 Another tower, this time in Kazan, which according to legend, Ivan the Terrible built at the request of his wife-to-be, Princess Suyumbike, who took her life by jumping off it once it was built. Experts believe that the tower was built at least a century after the Tsar’s conquest of the city in 1552, casting doubt over the authenticity of this tale. However, as all relevant documents were burnt in a fire the exact date of its construction remains a mystery. Considered part of Kazan’s Kremlin, it was only in recent years that the tower’s foundations gave way, giving the Suyumbike Tower its contemporary lean, and Russia its answer to Pisa. The entire Kremlin, including its square, multi-tiered tower, was declared a UNESCO World Heritage site in 2000. 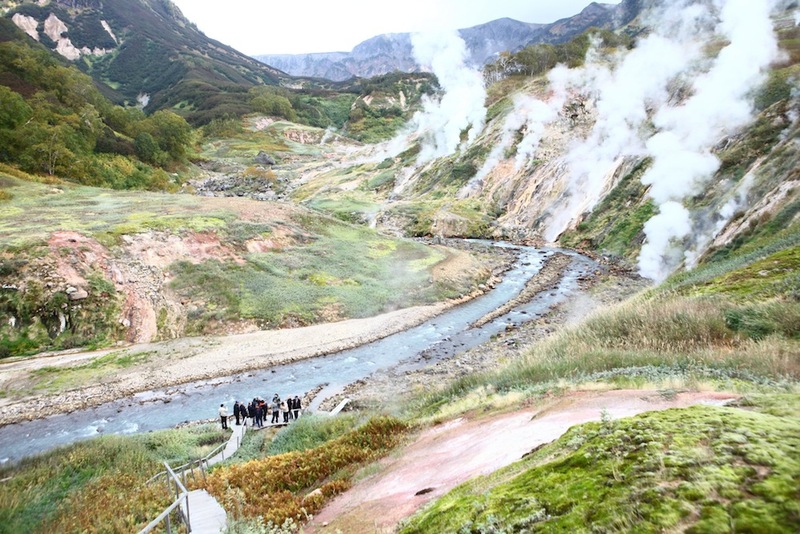 The Valley of Geysers in Russia’s far eastern Kamchatka peninsula has the second largest concentration of geysers worldwide, beating Iceland and New Zealand, and only lagging behind the US. The valley is an inaccessible geothermal expanse, reachable only by helicopter. Despite a landslide in 2007 which covered two thirds of the valley, the jet-like eruptions of vapor still stretch for 6km and have also been made into a UNESCO World Heritage Site. After a trip to the US in 1959, Nikita Krushchev expressed his desire to make Vladivostok “our San Francisco”. While Russia’s far eastern city may not be as gay-friendly as its American counterpart, Vladivostok is at least an accessible Russian alternative for film buffs, art aficionados and Asian cuisine lovers fond of San Fran. 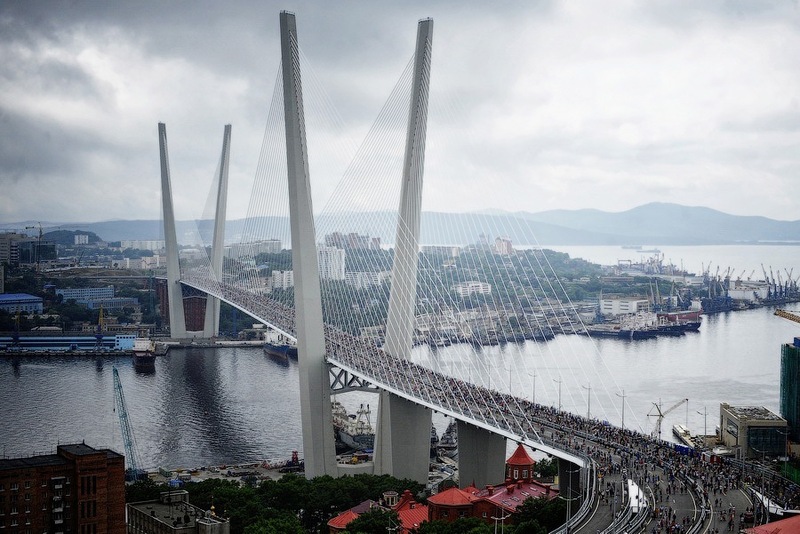 And Vladivostok has its own cable-stayed bridge — longer than the Golden Gate Bridge, and in fact, the longest of its kind in the world.